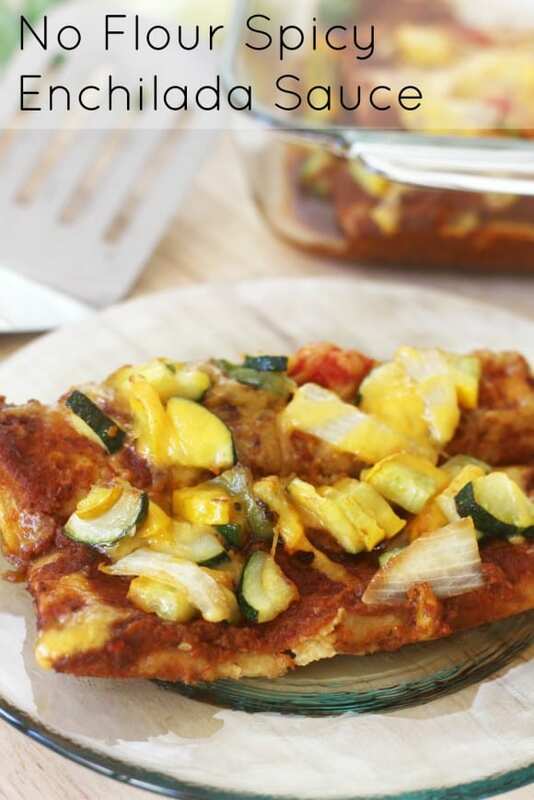 No Flour Enchilada Sauce Recipe and a Cookoff! 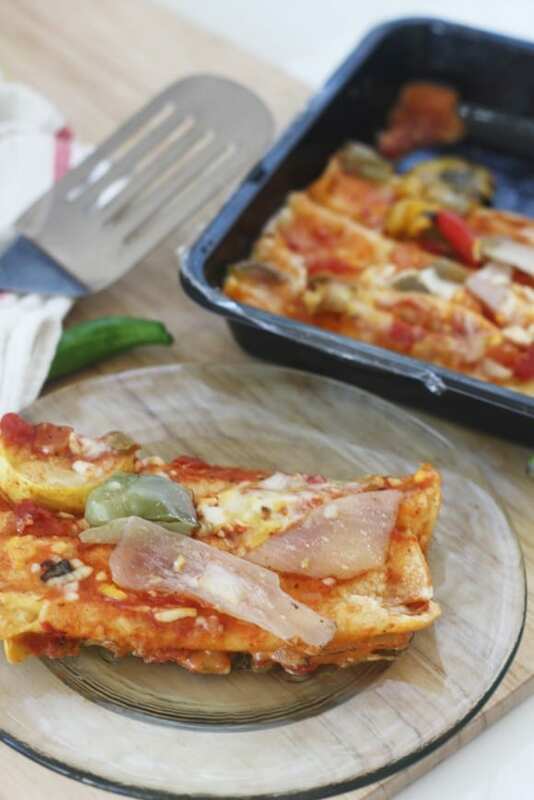 Talk about a fun challenge... We were asked by Fresh & Easy to take one of their Kitchen To Go meals, replicate it from scratch, and do a taste, cost, and time comparison. 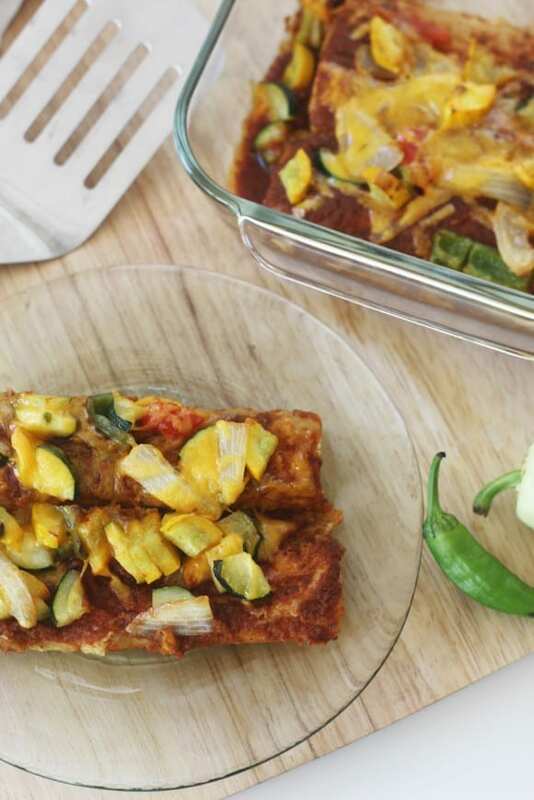 We chose their Vegetable Enchiladas and decided to make ours with a delicious homemade enchilada sauce. 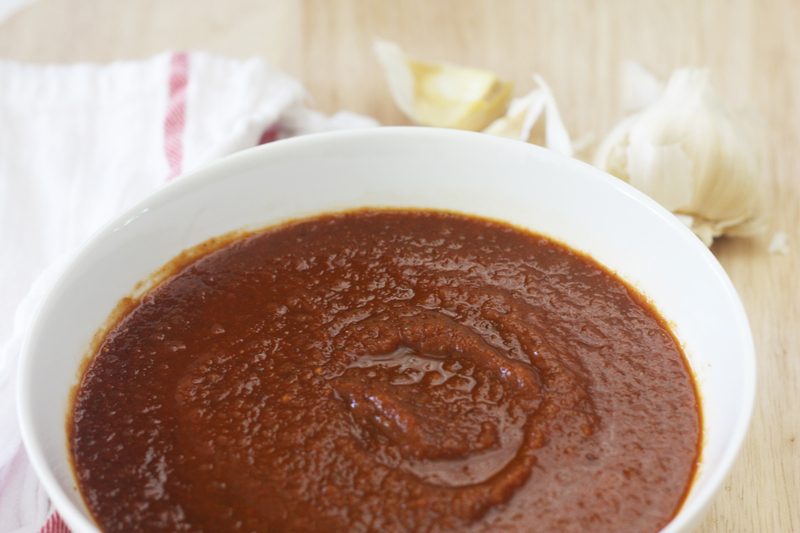 Our enchilada sauce doesn't use flour. 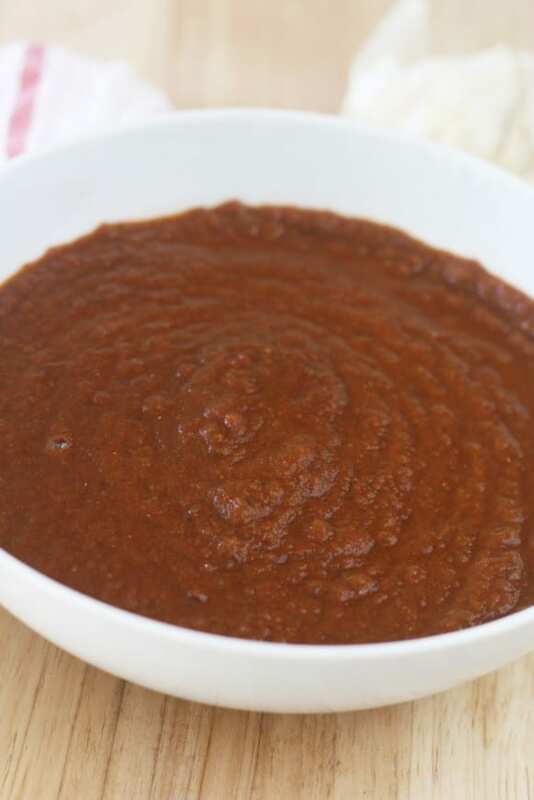 We used pureed chili peppers to give it body, and boy, does that work, plus you get so much flavor from the added peppers. It turned out thick and smooth, and has enough kick to keep your mouth excited. Start by rehydrating the ancho chilies. Cut off the stems end and shake out the seeds. I don;t worry about getting them all out. Put them in the toaster oven and toast for about 1 minute, just until they start to puff a bit. They go quickly from puffy to burnt, so keep an eye on them. Put them in a bowl and cover with boiling water. Let them soak for 10-15 minutes. 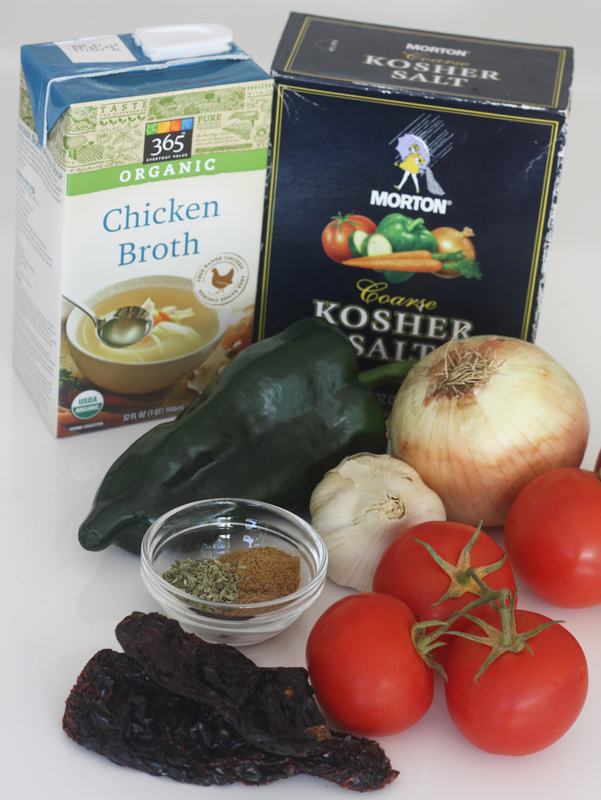 While the ancho chilies are soaking, dice your onion, and put into a pot with a little vegetable oil, and a pinch of salt. 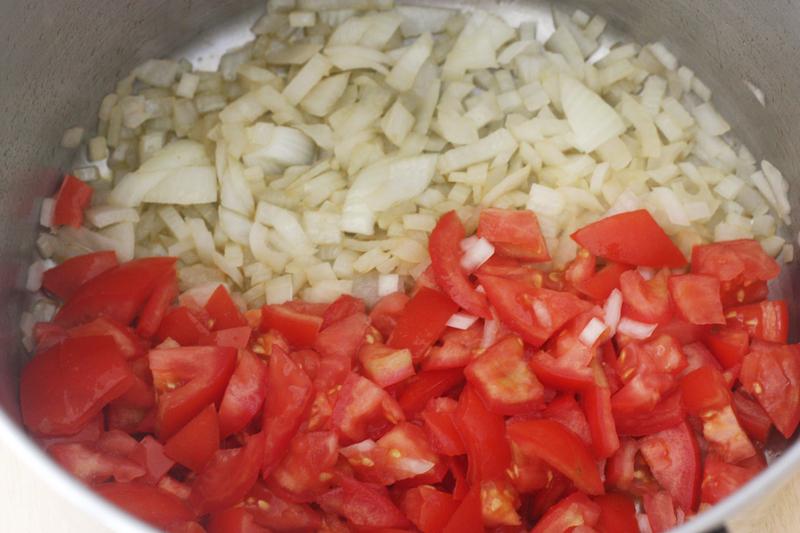 Cook until the onions are transparent, then add the tomatoes (chopped). Remove the stem and seeds from the poblano pepper. 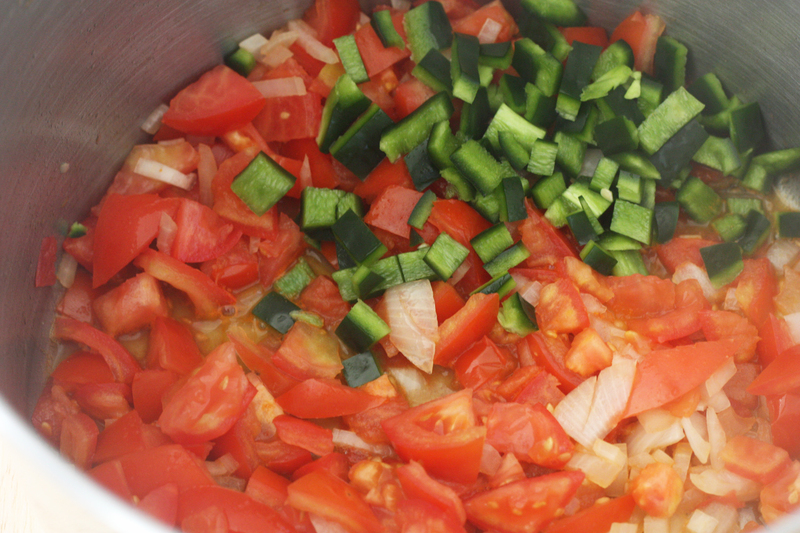 Roughly chop it up and to the pot along with teh garlic (minced or pressed). 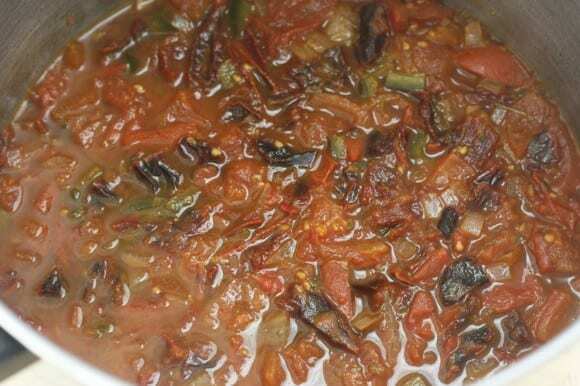 Cook for 10-15 minutes stirring occasionally. Remove the ancho chilies that have been soaking, and chop them up. Add them to the pot along with the chicken stock and the spices and simmer for about 30 minutes. Use an immersion blender to puree, or you can move it to a blender. If you think it is too thick you can add some more chicken stock, and if it is too thin let cook down for another 10 minutes. And here is the finished sauce! 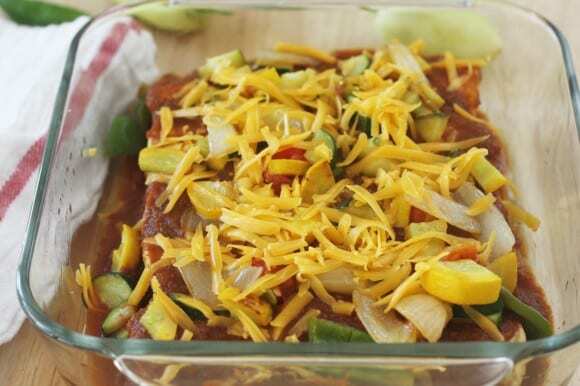 Besides enchiladas, my favorite way to use the sauce is to top my chicken with it. Now for the taste test... 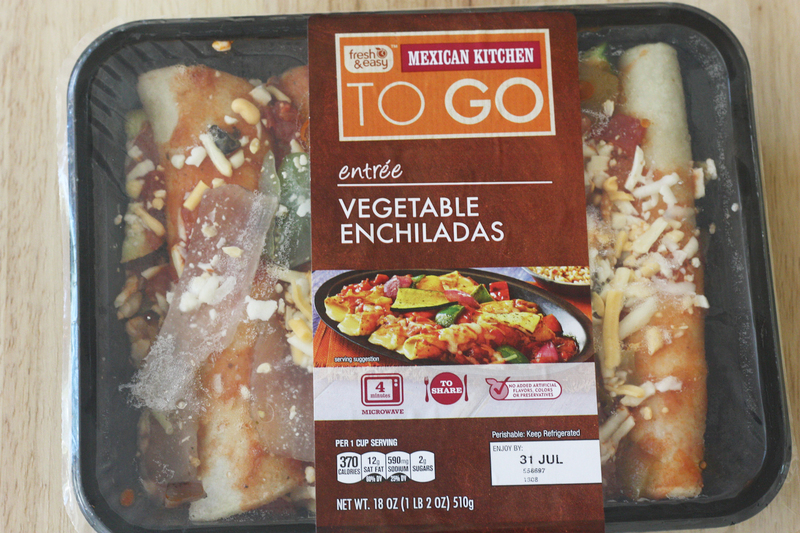 Here was our competition, Fresh & Easy Kitchen to Go Vegetable Enchiladas. We bought our enchilada ingredients at Whole Foods and got them ready. We chopped up green pepper, onion, zucchini, summer squash, and tomato, then sauteed the veggies until they were brown but still crunchy. 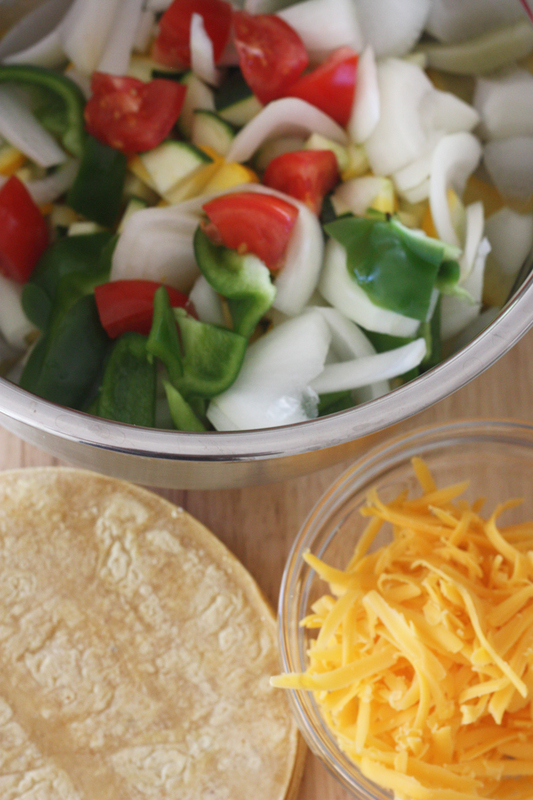 We lined our pan with our enchilada sauce, then rolled up 5 corn tortillas with cheddar cheese. We topped our enchiladas with our enchilada sauce, sauteed veggies, and cheese. Then we put it in the oven at 350 degrees for 20 minutes. 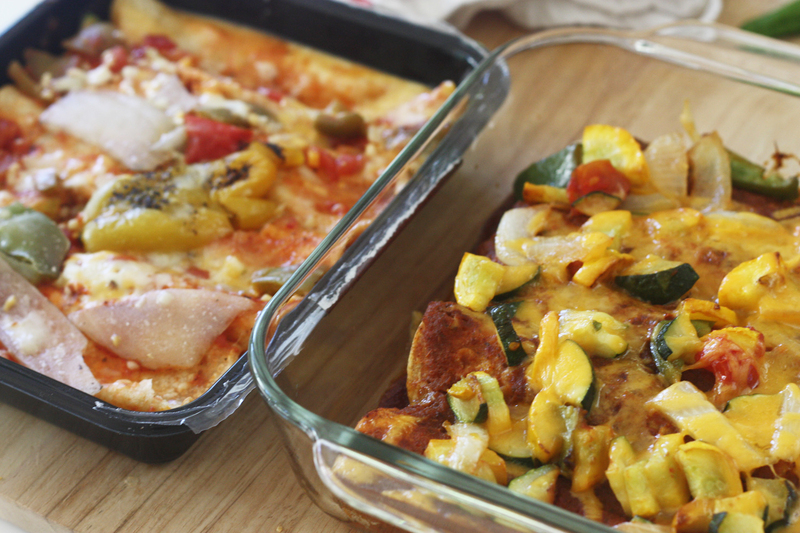 We also baked our Fresh & Easy veggie enchiladas. Right out of the oven, here's how they both looked. I thought they both looked tasty, plus their spicy tomatoe-y smells were making me hungry. Thankfully, it was time for the taste test. So, for me, the takeaway from the challenge is... 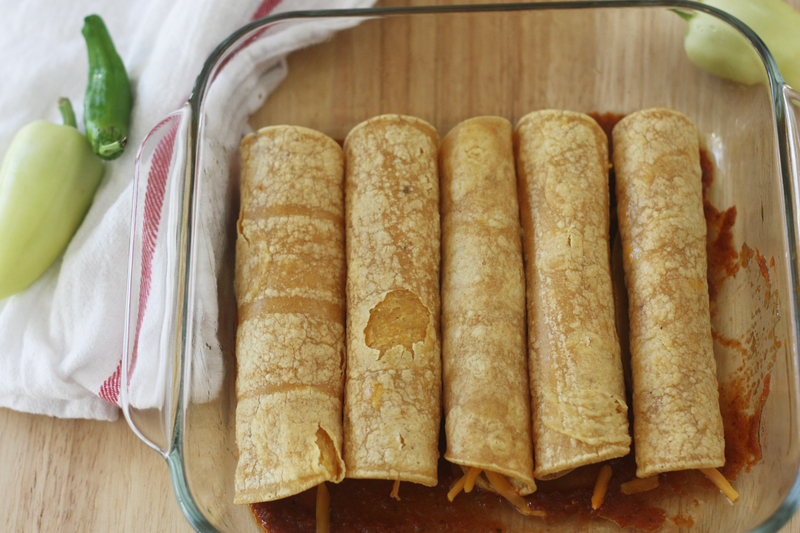 If you have the time to make fresh enchiladas with homemade enchilada sauce, I highly recommend it. Our dinner was bursting with flavor! But it took an hour at the grocery store and an hour and a half at home to make, not a quick meal by any stretch. If you are short on time, and don't want to spend $30.46 on dinner, which is what we spent (you can see our itemized receipt below), vs. $6.99, which is what the Fresh & Easy meal cost, the Kitchen to Go meal is a tasty, healthy alternative! You won't be disappointed, and if you want to try Fresh & Easy Kitchen to Go meals, here's a $5 off coupon. Sometimes you want ingredients. Sometimes you just want to eat. 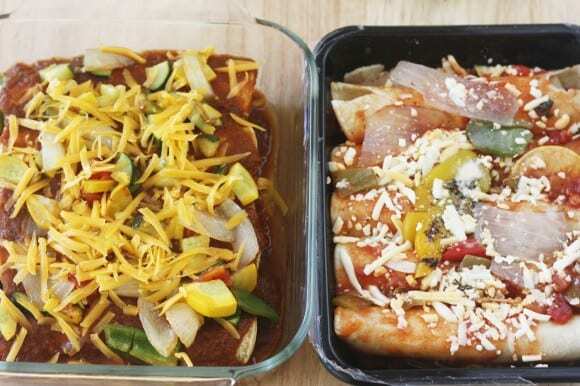 At Fresh & Easy, find freshly prepared meals that are ready to eat in minutes, delicious options that are ready to cook and even the raw ingredients you need to create your own recipes. Fresh & Easy makes grocery shopping easy with great food you can trust at prices you can afford and a small store to make it easy to get in, get out and get on with it. Disclosure: Compensation was provided by Fresh & Easy via Glam Media. The opinions expressed herein are those of the author and are not indicative of the opinions or positions of Fresh & Easy. The difference between the two was really the sauce. Ours was definitely more vibrant and complex, considering we just made it a half hour before.